In today’s social web chances are you have sent a status update to a friend, shared a meaningful article or blog with family and started a conversation about a topic within your community online. If you are a business owner or manager, you probably have deployed some of these same tools to communicate your brand message to the world and to interact with your followers. The question is can social media tools and social search be used inside an organization for management and staff to communicate with, conduct research and collaborate? Given the very public nature of social media, there are obvious limitations to the amount of internal information and research an organization can share on these social platforms like Twitter and Facebook. On the other hand, there is a lot of big data (valuable information) on the social web that is not available to all of the relevant stakeholders within your organization. To address this common enterprise business need, Enginuity has partnered up with Yammer to fix that. According to Yammer’s website “Yammer is an Enterprise Social Network that brings together people, conversations, content, and business data in a single location.” You might say it’s Facebook for organizations; where members use the platform to communicate and share information with each other. 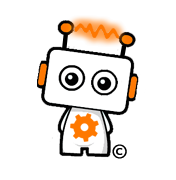 How can Enginuity help with social collaboration in the enterprise? 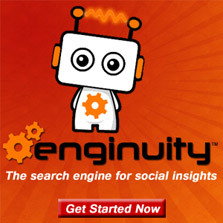 Social search platforms like Enginuity leverage the fact that over 1 billion of us are now sharing information and having discussions on the web and social networks. This means that individuals with access to socially relevant information, and particularly those who can effectively disseminate it to others, are the new rockstars within organizations. These empowered members are now the curators (sharers) of information inside companies rather than just passive listeners. This has a profound impact on individuals by improving morale and critical thinking for the overall business. Management and owners of organizations can also make better strategic business decisions from using Enginuity through it’s social insights and sentiment analysis of the social web to give a deeper understanding of everything that’s going on in the world, their industry and brand. And use social collaboration solutions like Yammer to effectively convey the company mission and goals to everyone in the organization. Do you use social collaboration solutions inside your organization? How has this increased the productivity or efficiency of your work?